This is the very first post - expect many more. The blog will be a channel for me to post things that I wish to share with you; whether that be music, art, fashion, design and anything else that is stimulating. Something for everyone I hope. 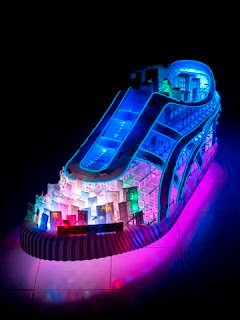 Dutch designers Freedom of Creation (FOC) have been commissioned by Onitsuka Tiger (of Kill Bill fame) to create a giant illuminated shoe containing a miniature city. 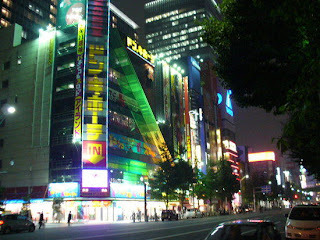 The shoe bears a strong resemblance to the Ahibara district in Tokyo which is more commonly known as Electric City. 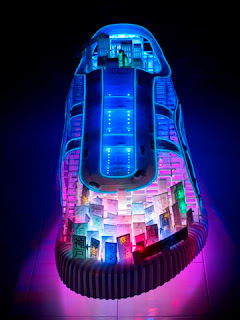 The shoe is one of the coolest pieces of design I have seen in a long time. There is no doubt that we will be seeing much more of FOC in the future. I hope you enjoyed the first post, I decided to keep it short and sweet. 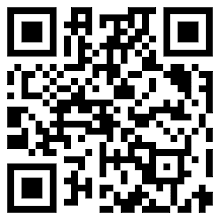 Check back tomorrow for the latest.